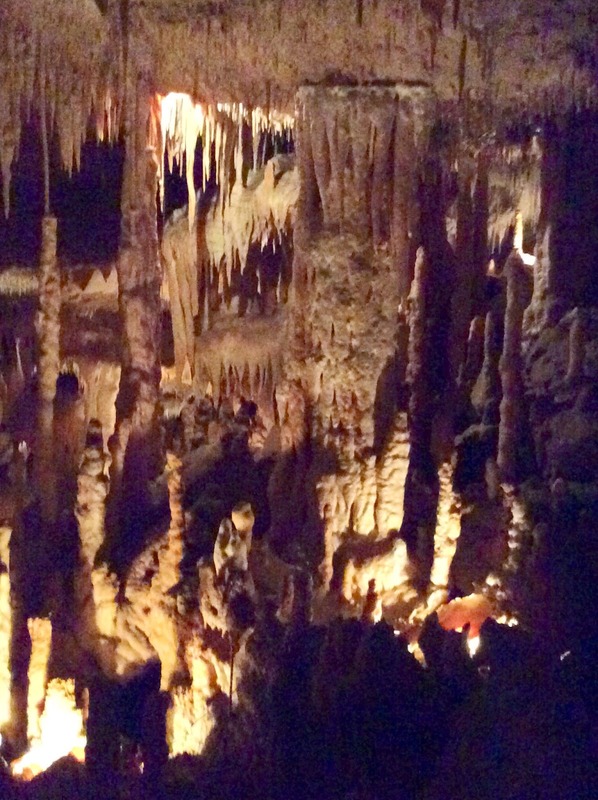 France: Cougnac and Pechmerle Caves- Go and GO SOON! Talk about other-worldly! 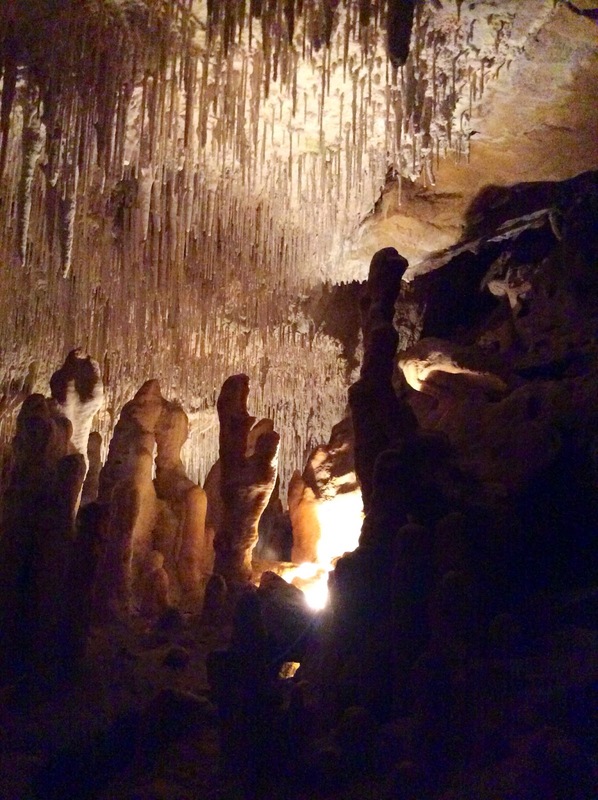 The caves of France are incredible and a MUST SEE, as far as I’m concerned. Cougnac caves are near Le Vieux Couvent in Frayssinet, which was our home base. Pechmerle is also nearby. Once I experienced the Cougnac caves, I vowed to see as many others as possible. Thankfully, a small group of us took another trip and made the effort to see Pechmerle while in France. Thanks to Karlyn Holman for helping us to make that arrangement! It was another moving glimpse into our connection with artists from our ancient past. The idea of artists painting in caves is not news. We’ve all heard about it, but experiencing it is another thing entirely! I thought the drawings would be like frescoes or decorations which might be found just inside the door or cave entrance. Well I couldn’t have been more wrong! First of all, there’s no door. Second of all, it was an incredible effort just to make your way to the place where the first artists created their paintings. Some of the images are wild, and make you wonder if they might represent fantasy creatures. Many are images of now extinct animals. You’ll find wooly Mammoths, and deer with huge “moose-like” horns, as well as spotted horses in these ancient paintings. The art is obviously practiced, and was done without photos or real subjects for reference. To create these images, we all agreed that the paintings we viewed were not the work of a novice. The artist had obviously painted these images many times in order to be so certain with their lines. Sometimes the contours of the rock would be used to advantage of the image. It was not possible to peek around the corner and see their subject either…there was no running outside to get a look at what they were painting. The sites where they painted were often circuitous,treacherous routes which were only reached by winding your way through stalagmites and stalactite riddled passages and multiple tunnels, often about half a football field underground. That seems to rule out the idea of a carcass being nearby for reference. These images were done from memory. Impressive! Each painting must have been executed by the light of a small hand held oil lamp made out of rock. I kept thinking…what if they ran out of oil? How would they ever find their way out? No one would ever hear you if you called for help. 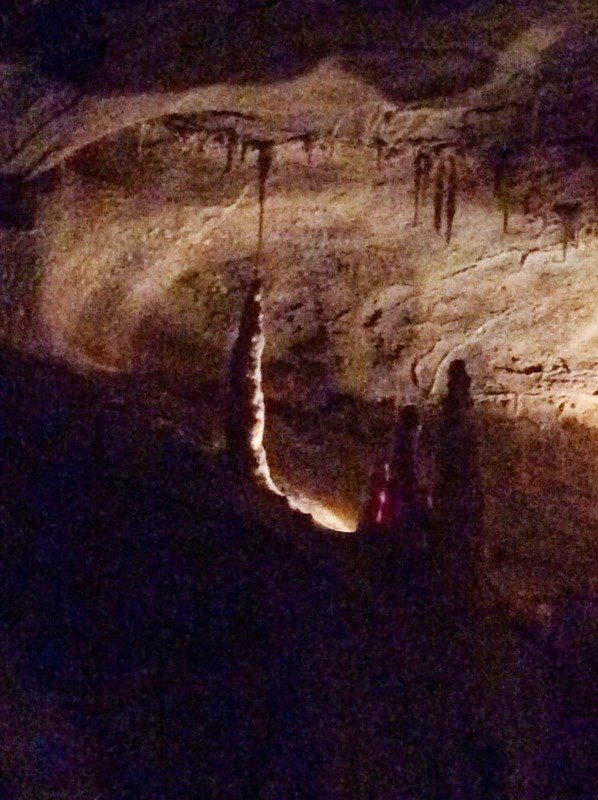 The pathway was treacherous, filled with stalagmites and stalactites. The path was also winding and a long distance from the surface in order to get to the chambers where they painted. No rope would be long enough to mark the trail. Cave bears inhabited the caves, so if you got past them and didn’t break your neck on the way, you had better be sure you didn’t run out of oil! Finding your way out would have taken more than a trail of bread crumbs! Yikes! 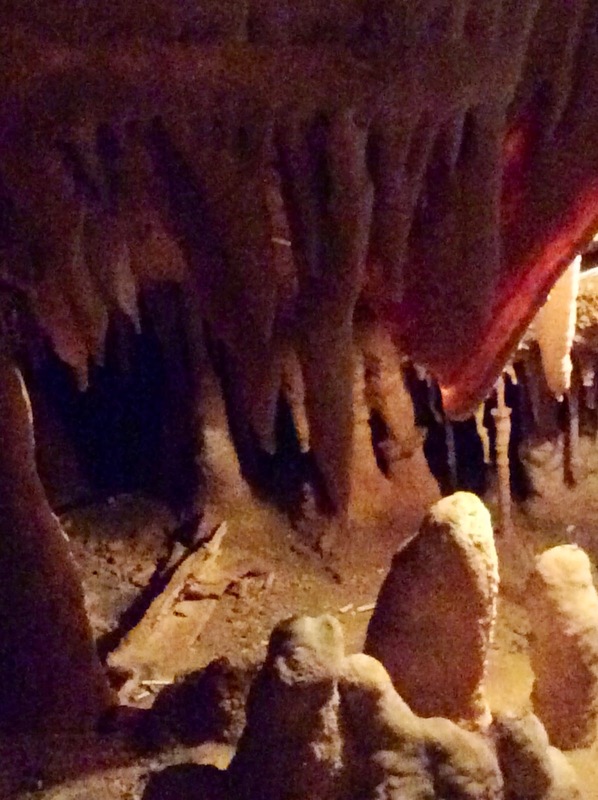 The caves are in danger of contamination from visitors. Our breath and the contamination from our fingers introduce changes which threaten the environment of the caves.The real Lescaux caves have been closed to visitors, and all you can see now is an exacting replica. I’ve heard it’s wonderful, but seeing the real thing at Cougnac and Pechmerle may be something future generations may not be able to do. That’s why I say, “GO!”, and “GO SOON!” Enjoy these photos, but understand that they DO NOT do the real experience any justice. 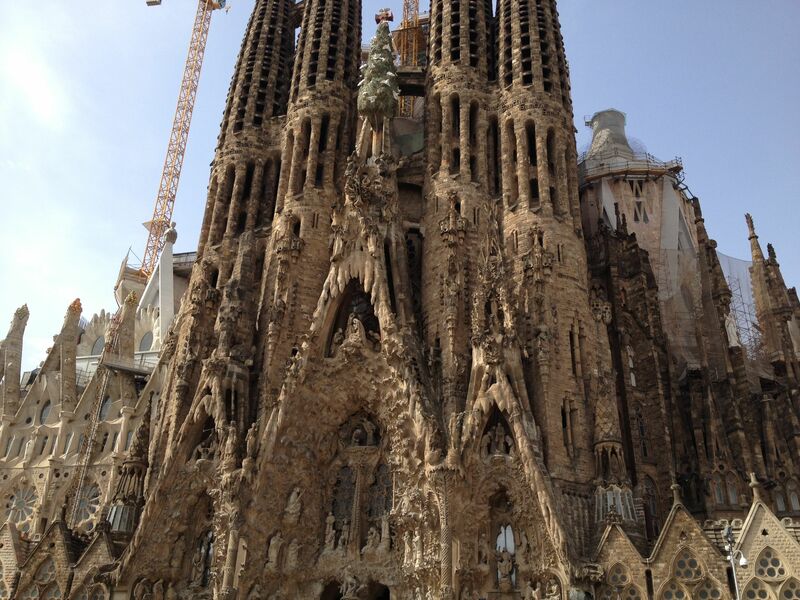 The environment is mystical and imparts a sense of the supernatural to these ancient works of art. 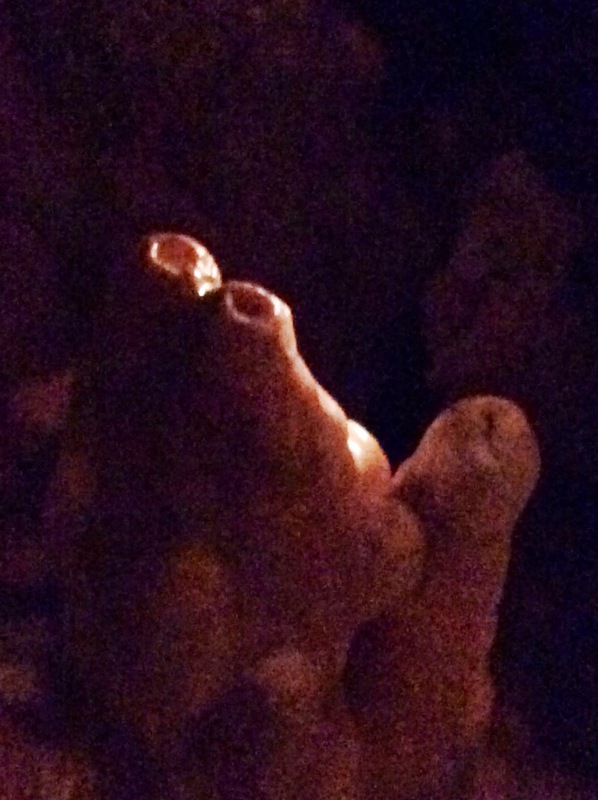 I found myself wondering if Gaudi may have visited these caves and been inspired to create his drippy style of architecture found in the Sagrada Familia cathedral in Barcelona…What do you think?? Let me hear from you! I look forward to your comments. Great photos on this blog post. The cave paintings are amazing. Love your Ancient Apparitions watercolor! You have inspired me to bring along a sketch book when we visit France next month. Thanks Maurita! I think it's wonderful when we can inspire one another. I love using my sketchbook as a way to help cement my connection to places. It's funny, but wherever I take the time to draw or paint, I remember it intensely. There's something about the way I connect to a place that is unique when I try to capture it artistically. Where do you plan to go in France? I hope you have a great time! Great post. 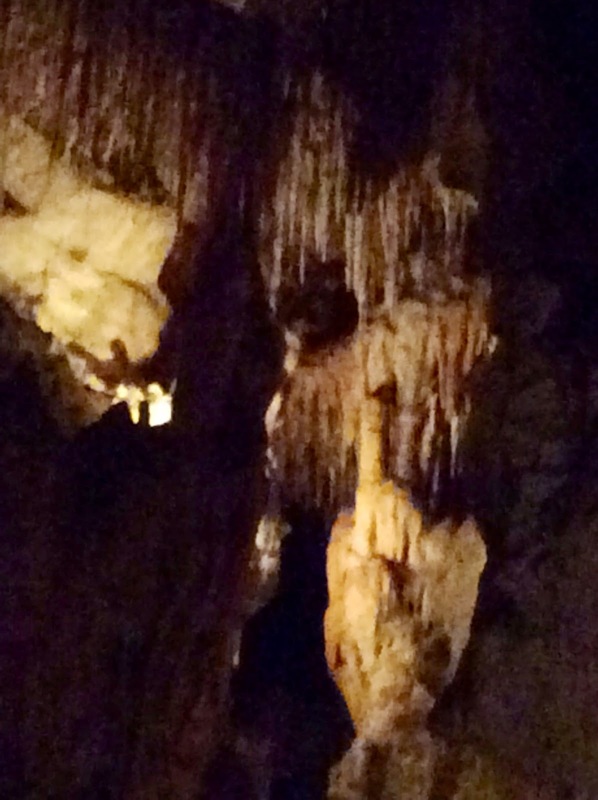 The caves are so fascinating….and you painting is beautiful. We are going to France this summer and would really love to see some of these cave paintings. Are you aware of any in the Normandy area? Thanks for any help you can give us. Your posting was fascinating. copy and paste it in order to watch. I just stumbled on your blog pages about the cave art; I watched the UKTV video and enjoyed the images you posted. While I was watching, I had some thoughts about the observations re how these same types of images were found in France and in South Africa. There are also many strikingly similar images in the rock art of Southwest U.S.
Not only the superimposing of image on top of image, but the types of things that were painted, and the grids and other "geometric" or "mathematical" shapes appear throughout. Sounds like human brain wiring is human brain wiring and that our experiences are the same across time. The Buddhists say that the only time is NOW. It's all happening NOW. So interesting, thanks for what you share.